If there was ever a store to make you want to be a kid again, this is it. 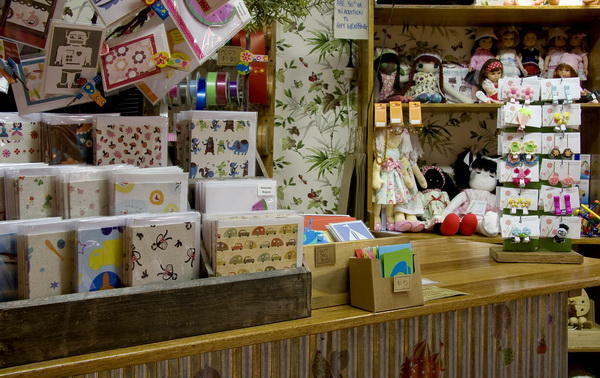 Come feast your eyes on the wonder, the whimsy, the absolute marvellousness that is the Tree Top Toy Shop. 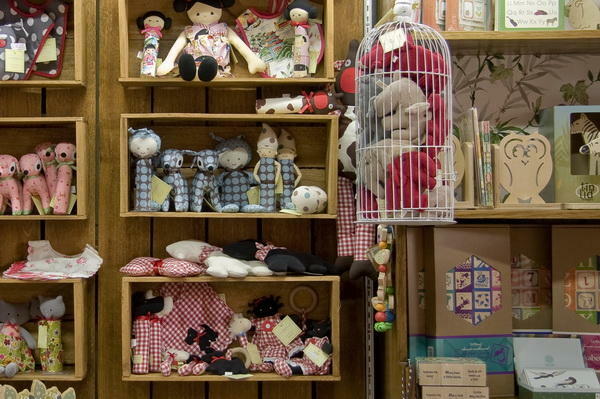 The tale behind Rachel Arkovits’ toyshop is just as lovely as the store itself. As a child growing up with her two brothers, Rachel didn’t have many toys. Instead the trio played atop a hill on her Nan’s land next door. Their playground? Three large and very old trees. This is where Rachel’s passion and love for wood began. Raw and rustic, Rachel’s ethos is that a tree can be anything. A huge trunk with a plateau can be a home, a broken branch can become a horse. She sees trees as incredible living things which can inspire and sustain imaginations. So too her toy shop. 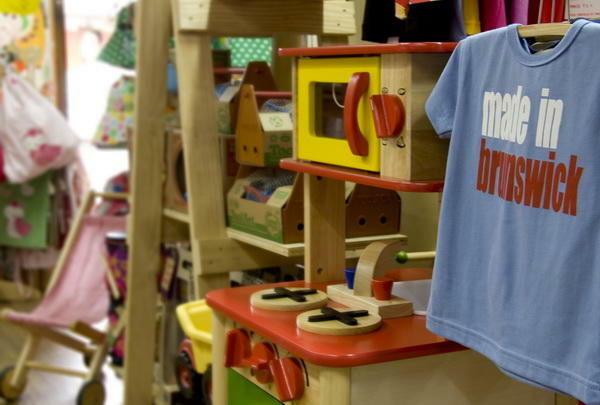 After a move to the city and the sale of Rachel’s much loved children’s store Whoops a Daisy in Castlemaine, she opened Tree Top Toy Shop in the inner northern suburb of Brunswick. Armed with imagination, Rachel set about converting an old building that had been home to a menswear store for forty years to a rustic tree house filled with the most exquisite and beautiful toys that will transport you back to your childhood in moments. 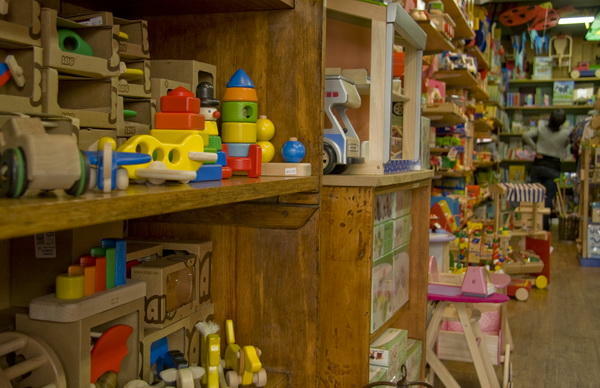 Recycling nearly every single piece of wood and existing shelving from the ’70s fit out, Tree Top Toy Shop is an inspiring place for both young and old. 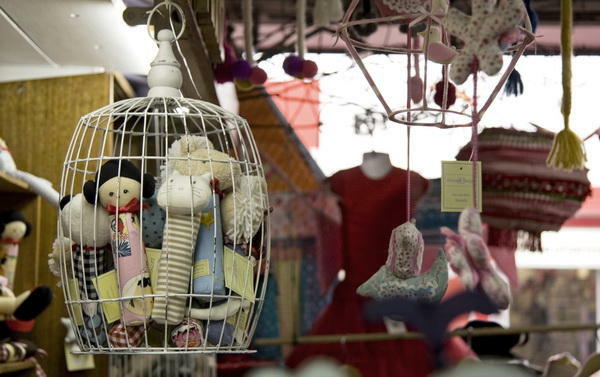 Tree Top stocks Purebaby Organic clothing, a wide range of the beautiful Alimrose dolls, baby toys and squeakers, the exquisitely designed and made Polish toys by Vojtek Bajor (Bajo), adventure and role play toys by Pintoy, Blue Ribbon and Wonderworld. There are also gorgeous wooden baking tools, breakfast and teasets by Honeybake and Le Toy Van, the famous “Wheely Bug”, puzzles, stickers and stacking blocks by Djeco. Choose from bright colored happy mobiles and bookends by GoldFish Gifts. Cocoon Couture bean bags, library/ shoulder bags and beautiful bookends. 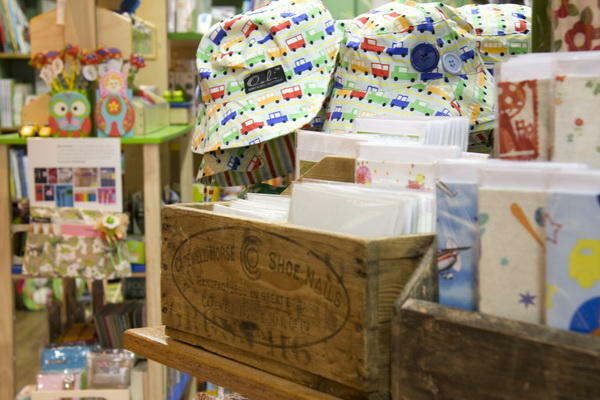 There’s fun and bright kidswear by Oobi, Little Gems very special costumes, Raggidy Rag dolls, Seedling kits, Hugg-a-planet globes, Automoblox, a beautiful and inspired books section and many more lovingly handpicked brands. Of course, with Christmas just around the corner, Rachel has stocked the shelves with all manner of fabulous stocking stuffers. 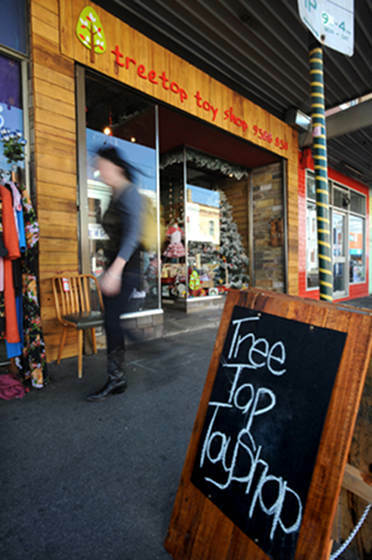 Find the delightful Tree Top Toy Shop at 351 Sydney Rd, Brunswick in Victoria.